I admit it, I am and addict. My addiction, soda pop. I love soda. I love how it tastes. I love how it makes me feel. As soon as I have finished one bottle, I am jonesing to open the next one. Soda is my drug when I need a fix. It’s my cigaret when I need a break. It’s my coke when I need a hit. It is my one true addiction that I just can’t break. It is my vice. I have read in the ‘4 Hour Body’ book that diet soda can prevent weight loss. That anything more than a can of diet soda a day will mess with your goal to loose weight and it is true. I have been tracking my weight daily since I started the Slow Carb diet and it’s clear that my recent plateau is a direct result of the diet soda I drink daily. I have already started to ween myself off this insane addiction and it already feels like an uphill battle in the cold of night. With all the ingredients in diet soda like Aspartame, Phophoric Acid, Potassium Benzoate, Phenylketonurics, and Phenylalanine there is no way this is healthy for anyone on the planet. These two dollar words on the side of my diet soda bottle are probably the reason why I am addicted to it like heroin in the first place. To get off this addictive nectar I am taking a couple of approaches. The first one is just a slow ween off. Everyday I am going to slowly reduce how much diet soda I drink till I am off or at least get down to 1 can of diet soda a day as recommended by the ‘4 Hour Body’ book. (The author of wich admits to be a huge addict of Diet Coke and states that reducing how much he drank was very difficult.) As I ween myself off of diet soda, I am going to supplement my caffeine needs with green tea. 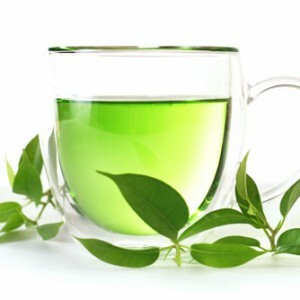 Green tea is great antioxidant and good for your metabolism. As far as my weekly cheat day goes, I believe I am still going to drink a lot of soda. But on my cheat day I have always drank real sugar soda like Jones Sada, or Pepsi Throwback. 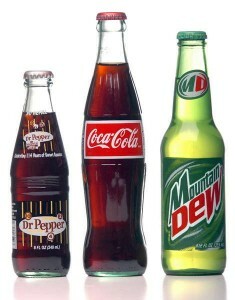 The ingredients in these sodas are fewer and you can actually pronounce them unlike the ingredients in diet sodas.